What's that funny brass instrument that has valves like a trumpet but has the tubing and look of a trombone? 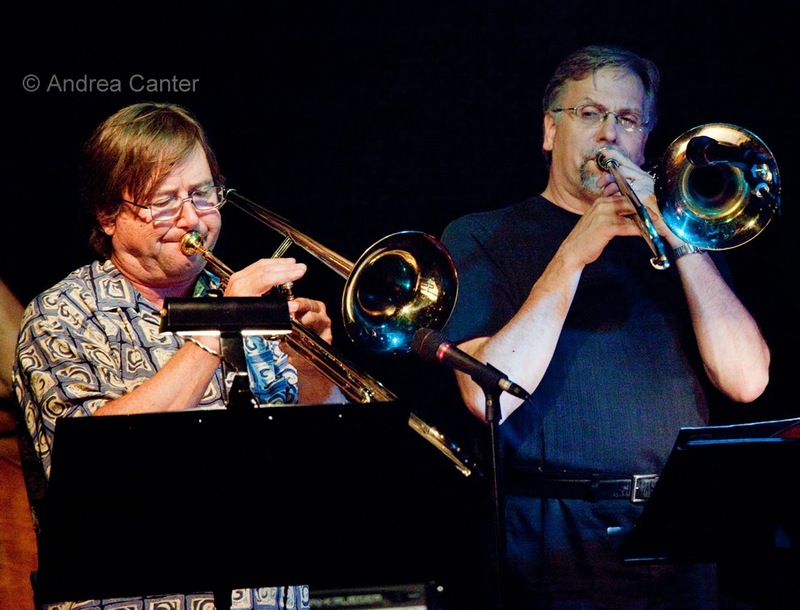 It's the valve trombone, famously played by Bob Brookmeyer and half of Valve Meets Slide, a popular ensemble at the Artists Quarter over the past five years. 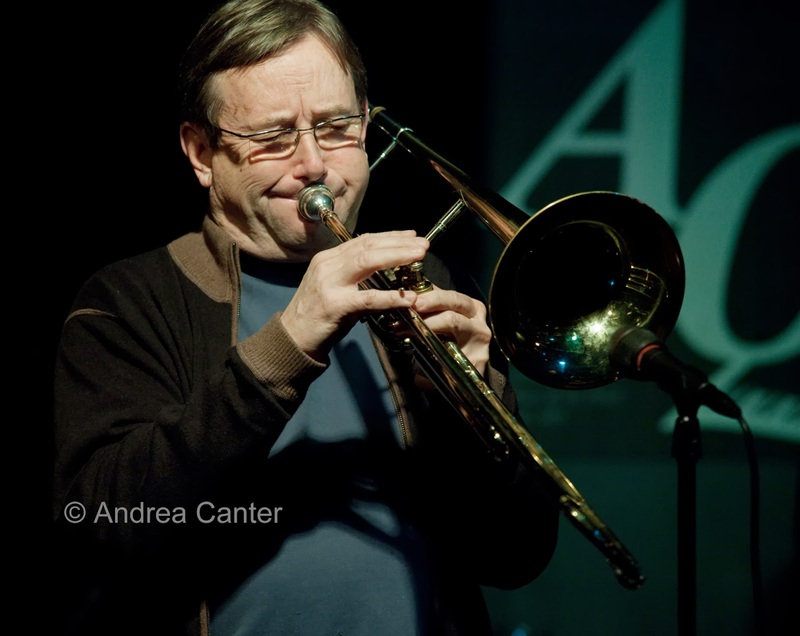 And credit Brad Bellows with making the valve trombone a familiar sight at Twin Cities jazz haunts, dating back to his leadership of Locally Damaging Winds, a jazzy choir of trombones and staple of the AQ schedule in its first years in the Hamm Building. Brad studied at Berklee College of Music in Boston, collaborated for many years with the late bebop legend Eddie Berger, and released a duo project with guitar guru Dean Granros (Bear's Delight), on which Brad plays euphonium. He's also become a regular at the Black Dog as co-leader of the Donald Washington/Brad Bellows Quartet. But in recent years, it's been Valve Meets Slide that punctuated the AQ's music schedule as Brad faced off with slide trombone master Dave Graf in a playful quintet. Hopefully there will be many more meetings of these master bones.